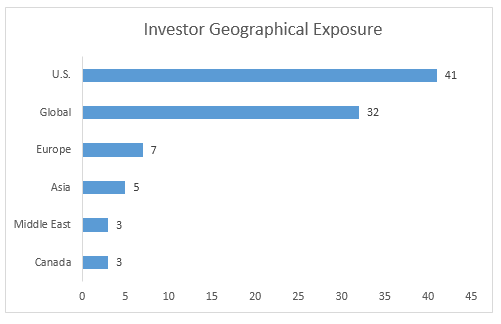 These investors are also diverse geographically; although most are based in the U.S., we also spoke to investors in 12 other countries around the world (see Figure 2). 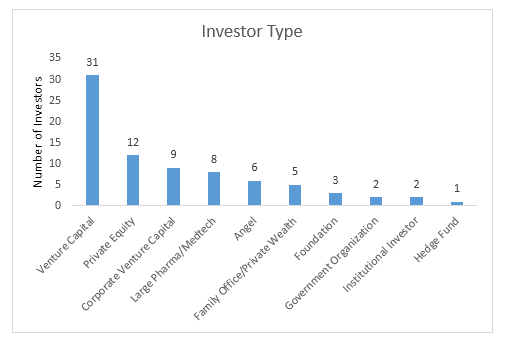 Fourteen of these investors are based in Asia, a region often untapped by entrepreneurs located outside of it; LSN has discovered through our mandate interviews that most Asia-based life science investors are looking beyond the region for investment opportunities. 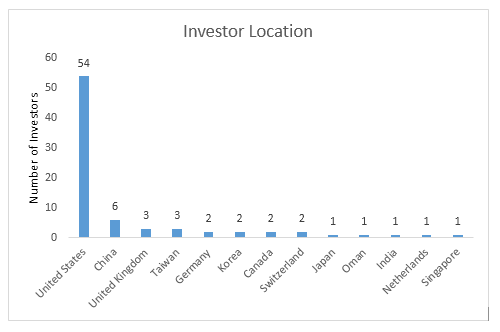 As you can see in Figure 3 below, almost half of these investors are interested in opportunities globally. The rest focus on one or several specific geographic regions, with the U.S. being the most common. The investors we contact have varied interests across the life sciences; some invest opportunistically in any part of the field, whereas others focus on a particular area of speciality. 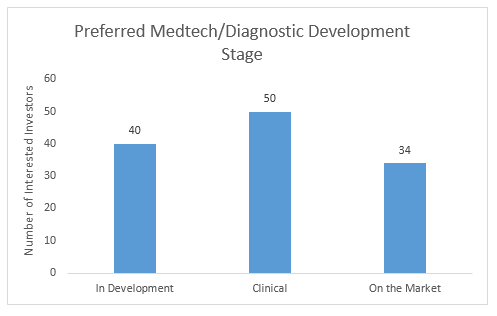 In February 2015, the diagnostics sector attracted interest from the greatest number of investors, followed by medical technology and biotech therapeutics (see Figure 4). We’ve found from our discussions with investors that diagnostics companies receive attention from both medtech investors interested in diagnostic devices and imaging technologies, and also from biotech investors interested in molecular diagnostics and personalized medicine. 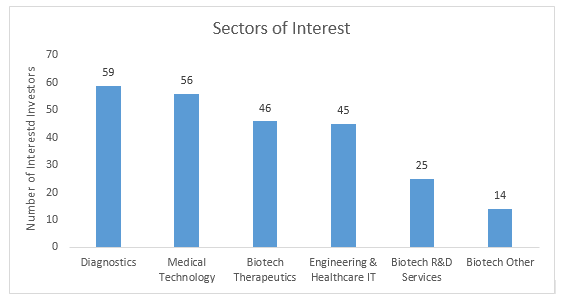 In addition to these three sectors, we also speak to investors who are interested in engineering companies (including companies developing lab equipment or healthcare IT products), biotech R&D companies (including CROs), and other biotech opportunities such as industrial biotech or agricultural biotech. 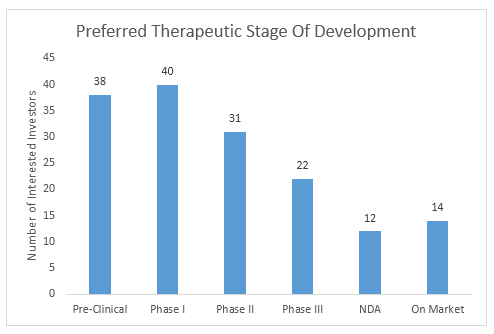 Figure 6 shows the stage at which biotech therapeutics investors prefer to invest. In this sector, you can see that interest in fully developed products drops off sharply, due to the much longer development cycle involved. While this roundup provides an overview of the information we have recently gathered regarding investor interest, we collect many other details that help us identify suitable opportunities for each investor, including which indication areas and technological approaches the investor focuses on, and what kind of financing rounds the investor is open to participating in. These details are invaluable to a life science company looking to find the right investor fit. We look forward to speaking with more life science investors during March and beyond.